Support Group Meeting @ Starbucks Duddell St, 7pm this eve!!! PLEASE NOTE: The next support group meeting will be held on Feb 25th, 2019 at 7pm-9pm @ Starbucks Sai Kung. That's TOMORROW! Please let us know if you can attend before 2pm on the day of the meeting. (WhatsApp 6409 2877) Thanks! KUNG HEI FAT CHOI!!! Happy 2019 from all of us at Bipolar Hong Kong! Wishing you a Mental 2019! Merry Christmas from Bipolar HK! 10 Things You Should Never Say to Someone with Bipolar Disorder! Interesting article! Do you agree? 10 THINGS YOU SHOULD NOT SAY TO SOMEONE WITH BIPOLAR DISORDER! Support Group Meeting in Central Next Monday! Association For International Broadcasting Announces Winners! 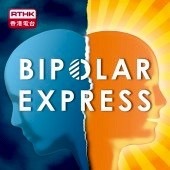 http://aib.org.uk/aib-announces-winners-of-the-aibs-international-broadcasting-awards/ The Association For International Broadcasting have announced their Winner's List and Bipolar HK founder Sadie Kaye's Bipolar Express for RTHK is among them! The doc has been Highly Commended in the 'Radio Creative Feature' category. WHOOP! More Good Reasons We Bipolar Types Should Ditch Alcohol! Lol!